Medication reconciliation is a significant challenge for many organizations that puts the safety of patients — and even their lives — at risk. When a patient's medication history is captured inaccurately during admission, the misinformation can follow a patient throughout their treatment, potentially leading to harmful medication errors and increased costs for patients and organizations. And when inaccurate medication reconciliation occurs at discharge, there can be similar ramifications as well as an increased likelihood of readmission. The good news for organizations is that there are ample opportunities to enhance medication reconciliation processes. 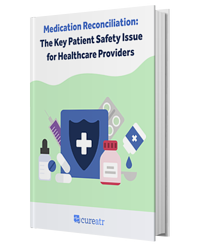 This e-book takes a deep dive into medication reconciliation, covering fundamental issues, such as the importance of medication reconciliation and how it affects safety to providing insight into more specific areas of an organization's operations, such as the quality improvement program, emergency department, and policies and procedures. Following the extensive guidance in this resource can help you achieve significant improvements in quality and financial performance. The importance of medication reconciliation should not be overlooked by any healthcare provider. It may already be a priority for your organization. Despite your efforts, there still could be a large margin for error due to the capturing of incomplete or inaccurate information. 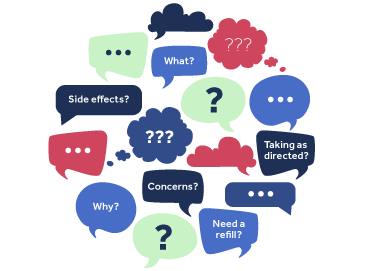 Recognizing that patients don’t always remember or know the medications they’ve been prescribed or even those they take on a regular basis, it’s critical to acknowledge that patients are not always a reliable source of information. 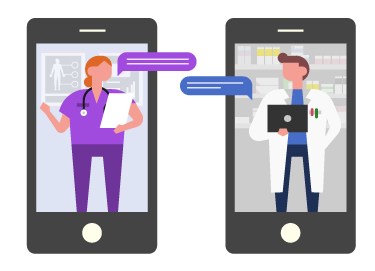 The Institute of Medicine found that 50% of all medication errors and 20% of adverse drug events in hospitals occur due to poor communication during transitions. Here are a few reasons that medication reconciliation should receive greater attention. Medication reconciliation is often inconsistent – Even with mandates, medication reconciliation processes can vary widely by hospital. Time constraints sometimes trump safety – While patient safety is often a top priority in principle, this does not always carry through in reality. Clinicians sometimes spend less than 15 minutes with a patient during an appointment and can lack the time necessary to perform proper medication reconciliation. Medication reconciliation creates an opportunity to discuss adherence – Patients fail to take their medications about 50% of the time. While reasons why vary, clinicians should stress the risk factors associated with non-adherence with patients and help improve compliance with instructions. 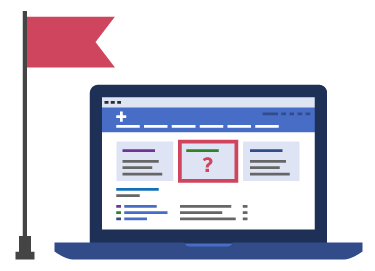 EHRs aren’t solving the problem – The use electronic health records (EHRs) can make medication reconciliation worse in some cases, such as when clinicians complete documentation requirements without giving a patient proper attention during a visit. Data gaps are a major issue – If your EHR is not connected to other providers and facilities, your documentation may be missing critical information on medication history. This increases the risk associated with making treatment decisions because providers are working off of an incomplete picture of a patient’s health. Medication reconciliation is vital to preventing readmissions – When a new medication is prescribed but other medications that the patient might be taking are unknown, there is an increased chance of a complication, potentially resulting in harm and a readmission. Now that you’ve read about why medication reconciliation is important, let’s explore some best practices. 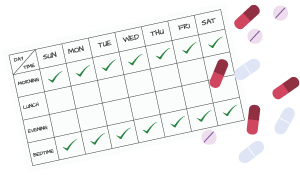 Prior to scheduled visits or surgeries, remind patients to bring a current list of their medications to the appointment. If patients are resistant to this idea, you can request that they take a picture of their medication bottles. Another option: Review the medication list over the phone. At each transition, task a pharmacist or registered nurse (RN) with managing medication reconciliation. Pharmacists and RNs are uniquely qualified to lead interdisciplinary efforts to establish and maintain an effective medication reconciliation process across health systems and should lead or assume key roles in the essential components of medication reconciliation. Asking already busy clinical support staff members to conduct the medication review in addition to tackling their already overwhelming list of responsibilities almost ensures that it will not be fully or accurately completed. Make sure patients understand the importance of an accurate medication list. Ways to provide this information include using posters, handouts, and verbal prompts at check-in. For consistency, which is vital to proper medication reconciliation, organizations should ensure procedures are implemented and followed consistently without fail. Did you know that about half the U.S. population has taken at least one prescription medication in the last 30 days? During that same timeframe, nearly 25% of individuals have used at least three prescription medications, and more than one out of every 10 individuals has used five or more prescription medications. While there are programs designed to prevent complications when new medications are introduced to a regimen, there’s still a major risk of patients suffering an adverse drug events (ADE). Each year, 700,000 emergency department visits and 100,000 hospitalizations occur due to ADEs. What steps can you take to help improve complication prevention? Understand how three particular key drug classes correspond with many ADEs: anticoagulants (bleeding), diabetes agents (hypoglycemia), and opioids (accidental overdoses, sedation, and respiratory depression). 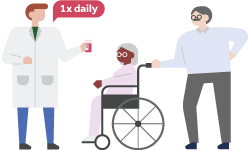 In addition to focusing on the types of medications, commit extra resources toward keeping certain high-risk populations, such as the elderly and pediatric patients, safe. An essential step to take in prevention is identifying the appropriate medication, dose, and frequency. Mistakes can often occur at this point in the reconciliation process, often attributable to gaps in information. 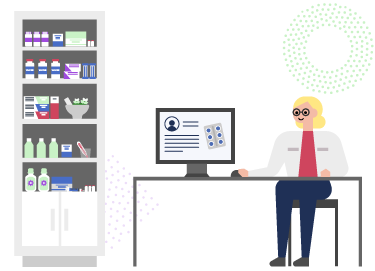 Due to the high risks of inaccurate or missing information, providers must have point-of-care access to comprehensive, real-time actionable pharmacy data to help ensure more complete documentation and reduce ADEs in the process. As we’ve shared already, the medication reconciliation process is complicated and has a direct impact on patient safety. How can you improve the medication reconciliation process? While documenting the details of a patient's prescription medications is critical, also ask for information about all other medications, such as vitamins, herbals, health supplements, nutraceuticals, respiratory therapy-related medications (e.g., inhalers), vaccines, and intravenous solutions. Be sure to capture the medication name, strength, dose, route, formulations, frequency, and most recent dose taken. Patients who take multiple medications can struggle to remember all of them. Probing questions can help with memory recollection. Types of probing questions include open-ended questions, close-ended questions, and questions about specific conditions. With approximately one-third of U.S. adults at a basic or below basic health literacy level, many patients struggle with adhering to a medication regimen. Providers must take health literacy into consideration when working on developing an accurate medication list and educating patients on their regimen and potential risks. Specifically, it can be helpful to target efforts on improving communication. One high-risk situation for medication reconciliation errors occurs when patients are transferred from one organization to another, meaning that their information must be shared between separate organizations. Information transferred between organizations may not occur electronically, which makes the information more vulnerable to human error and data entry inaccuracies. 1. Patient's list of home medications prior to visiting the initial organization. 3. Medications ordered at the receiving organization. When assembling information about a patient’s health, there are a few best practices for patients and providers to better ensure the capturing of more accurate details about a patient’s medications. Encourage patients to bring their medications to their appointments. If the medications are in front of them, you will at least have the medication names and doses, and hopefully the patient can provide the frequency with which they are taken. If you don’t have the medications in-person or in a list format provided by patients, focus on improving communication. You can take steps like communicate using a patient’s preferred language, asking open-ended questions, and being on the same physical level, with both parties sitting or standing. Another worthwhile area of focus: the potential for look-alike sound-alike medications (LASA). Serious consequences, such as dangerous drug-to-drug interactions, can occur when incorrect medication names are recorded. One source of LASA medications is The Institute for Safe Medication Practices (ISMP). It’s incredibly important that providers don’t make assumptions. If you experience any confusion as you review another provider's medications notes, this is a red flag indicating the information may not be accurate or complete. In addition to maintaining a current list of LASA medications, ISMP maintains a list of error-prone abbreviations, symbols, and dose designations. Again, if there is any confusion with another provider’s notes, it’s crucial to follow up with that provider to ensure clarity and accuracy. Finally, if there are errors, report and learn from them. By reporting and analyzing the cause(s) of issues, they are less likely to occur again. As your facility takes steps toward improving medication reconciliation, remember that it requires much more than checking items off on a list. To ensure you’re truly helping patients concerning medication reconciliation, here are a few tips to consider. Never assume anything about patients. Every individual will be different: some will speak different languages, others will have various religious backgrounds, and some will have a strong recollection of medications they take while others will not. By using a standardized form, you can help reduce potential for unreconciled medications. Find examples of such a form through the Institute for Healthcare Improvement (free registration required), the Agency for Healthcare Research and Quality (AHRQ), and other organizations. Before changing documentation, ensure staff is educated about the reason for the change and they undergo proper training on the new process. It’s important that providers don’t rely on electronic records alone. Providers should have the skills, training, and knowledge to ask the right questions of patients and fellow providers to help avoid errors. To maintain confidence that your organization’s medication reconciliation process works as intended, monitor adherence and measure its effectiveness. Develop methods for sharing results and implementing improvements. As previously noted, patients don’t take their medicine as prescribed about half of the time. Beyond that, 1 in 4 new prescriptions are never filled. Non-adherence is a huge hurdle to helping patients get healthy and stay healthy, especially since it significantly contributes to hospital readmissions. When it comes to quality improvement (QI) initiatives, hospitals should leverage their staff and analytics to achieve meaningful results. In addition to these points of discussion, reiterate the importance of adherence in patients’ discharge plans. Through early identification of potential adherence mistakes and intervention, clinicians can help keep patients safe and prevent readmissions. To motivate hospitals to improve the use of particular drugs, the Centers for Medicare & Medicaid Services (CMS), for its Hospital Compare overall hospital rating, assigned a triple weight to Part D of the scoring criteria for three classes of medicines: antihypertensives, antihyperlipidemics, and oral hypoglycemics for diabetic patients. According to CMS data, these types of drugs have a significant impact on cost of care and rate of readmissions. The benefit for hospitals is that if a patient has 80% of days covered or better, hospitals receive three times the benefit in their overall Hospital Compare stars score. How Responsible are Patients When It Comes to Preventing Medication Errors? While patients should not be blamed for medication mishaps, they do have the responsibility to report issues with medications that may lead to health risks and complications. Clinicians must teach patients how to recognize problems early so that they can reach out for help when needed. Here are a few steps clinicians should take to improve communication with patients and help prevent medication errors. 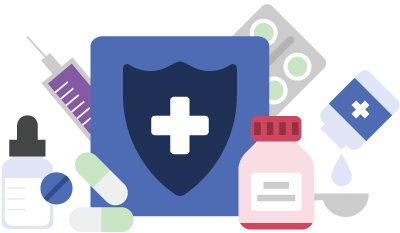 Help patients take responsibility for preventing medication errors by sharing critical details about each of their medications, including why they are being prescribed and potential side effects to watch for. Make sure patients understand how to identify and report symptoms of a potential side effect. Aside from informing patients about when it’s appropriate to contact you about potential issues and concerns with their medications, build trust with patients so they will reach out. Make patients comfortable with contacting you by reassuring them that it is never a bother for them to do so. When speaking with them, try to maintain eye contact and acknowledge that they know even small side effects shouldn’t be ignored and should be reported. 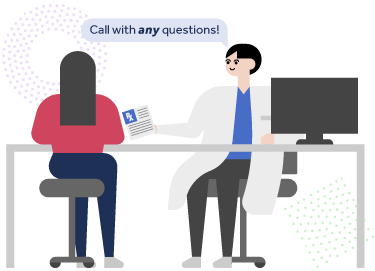 Provide patients with the information they need to contact you and how to reach someone who can provide assistance if you are inaccessible. When prescribing high-risk medications, a follow-up plan can help prevent medication errors. This may mean following up post-discharge as well as after a routine appointment. The responsibility for follow up should not fall solely on the patient. Make sure you review potentially dangerous symptoms and involve the family when possible and needed. The very nature of an emergency department (ED) can make it difficult to conduct medication reconciliation with a patient. While strategies for reducing medication errors in the ED don’t stray far from how it’s performed in other areas of the hospital, one challenge unique to EDs is determining who will perform medication reconciliation. With a high number of rotating staff members typically with varying levels of medication experience, there can be tremendous uncertainty surrounding who will take care of medication reconciliation. Making sure such a policy and procedure are implemented on the front end is important to preventing errors down the road. Study data shows that adverse drug events are significantly reduced when pharmacists or pharmacy technicians oversee medication reconciliation. Here is one such example: In a year-long improvement study, Citrus Valley Health Partners-Foothill Presbyterian Hospital used best practices and Lean Six Sigma tactics to train and deploy pharmacy techs to perform medication reconciliation in two hospital emergency departments. The hospital reduced its error rate by 40% and increased its accuracy rate for all medications to 96%. While The Joint Commission’s first step in the medication reconciliation process is to “develop a list of current medications,” this seemingly simple action can be quite complex. Medication reconciliation should include a patient interview (if possible) and calls to the pharmacy and/or physician offices. This is where involvement by pharmacy technicians can be incredibly valuable. In addition to documenting the list of medications, indications, and dosages, they can also document how the patient is/isn’t taking their medications as well as who provided the information, whether that is the patient, a family member, and/or the pharmacy. Another key part of the process is documenting the why behind medication changes. This could include dose changes, discontinuation, and drug class switches. Such details can often be missed when the ED is busy. 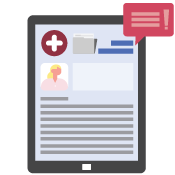 Simply adding a note to the patient’s information can help the next clinician make a more informed care and medication decision. An effective patient interview means asking open-ended questions rather than questions that only require a yes or no response. Medication reconciliation should not be a single event; rather, make it an ongoing process as patients transition from one care setting to another, service to another, and/or practitioner or level of care to another. 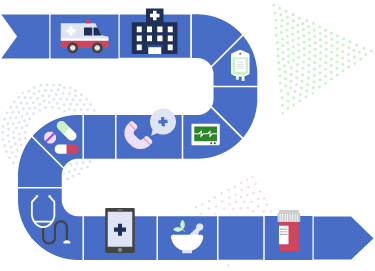 With serious preventable medication errors occurring in 3.8 million inpatient admissions and 3.3 million outpatient visits annually, enhancing patient care coordination is an important effort to improve medication reconciliation. It's important to account for such gaps to prevent potential communication challenges between providers and patients. 2. Reliance on Electronic Solutions — For organizations to achieve more effective, patient-focused care, there must be some reliance on electronic solutions. These may include electronic health records, clinical event notifications, and task management solutions. 3. 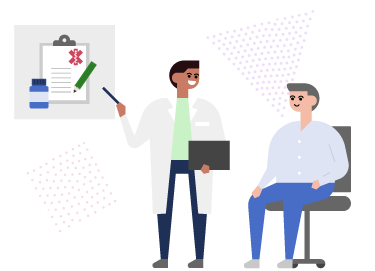 Ongoing Monitoring, Measuring, and Improving – A good care coordination program should include ongoing monitoring and performance measurement. This will help organizations put themselves in a better position to identify problems, shortfalls, potential risks, and other hindrances to successful outcomes. Does Your Organization Have a Medication Reconciliation Policy and Procedure? A Journal of General Internal Medicine study on risk factors and potential harm associated with medication errors at hospital admission found that 36% of patients had mistakes in their admission medication orders. These errors typically occur during the medication history gathering phase. By developing a medication reconciliation policy and procedure, organizations can help ensure staff follow a process that will decrease the likelihood of errors. 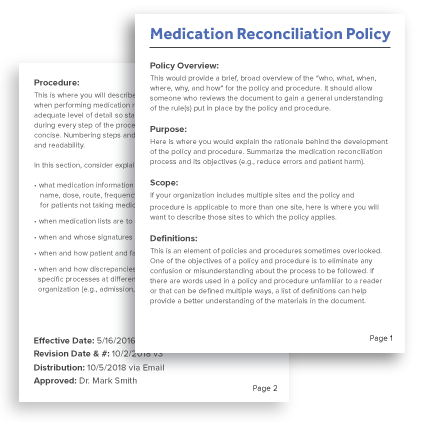 Here are 10 items to consider including in a medication reconciliation policy and procedure. Given the evidence that medication discrepancies and errors can have a significant effect on outcomes, medication safety's inclusion on the list is certainly justified. Ensure your team is capturing the complete list of medications patients have been prescribed as well as what they are actually taking. Recognize that a good faith effort meets the intent of The Joint Commission requirement for medication reconciliation. Compare and reconcile all medications identified. Update the patient’s record with the reconciled, accurate list. Give patients and families written information about the medications you prescribe as a result of the encounter. Impress upon patients the importance of managing their medication information. Now that we’ve touched on many areas your organization may want to focus on to help improve its medication reconciliation process, let’s explore what could be missing from your medication reconciliation workflow. Even with national attention focused on medication safety, errors persist with regularity. Here are some of the most common components missing from the medication reconciliation process. Most organizations complete their medication reconciliation process with several people who fill several roles. For greater accuracy, your organization should choose a consistent owner for the medication reconciliation process, meaning that one type of person (e.g., physician, nurse, pharmacist) is accountable for the accuracy and completion of information. 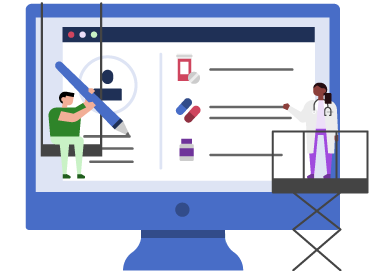 As interoperability between technology systems remains a major issue, particularly if you only have access to your organization’s EHR, you will likely lack access to a full description of a patient’s medications. While you can call a pharmacy to find out more about a patient’s medications, sometimes clinicians don’t have the time for this outreach effort or a pharmacy might not reachable, depending on time of day and busyness of the department. In theory, EHRs with a “checkbox” system should help sort and reconcile a patient’s medication information into an accurate list. However, this is not always the case as clinicians may feel pressured to rush through checking boxes, which can jeopardize list accuracy. Patients don’t always have the best memories when it comes to the medications that they take. Clinicians require access to interoperable EHRs and other systems that can help fill the gaps by providing data patients cannot. A significant, proven solution to improving medication reconciliation in hospitals and other healthcare settings is involving pharmacists and making them an integral part of the process. In fact, one study found that when pharmacists provided admission drug histories, nearly 4,000 deaths were avoided. The problem is that many hospitals do not employ pharmacists and technicians for this purpose, and many organizations do not have these individuals available around the clock. As is likely evident from the wide-ranging topics and issues covered in this e-book, medication reconciliation is a complex matter that requires attention throughout a patient’s continuum of care. That attention must come from many members of a healthcare organization as well as patients themselves and frequently their caregivers. Without a carefully coordinated effort involving all stakeholders and aimed at capturing an accurate medication list at admission, maintaining accuracy while a patient is receiving treatment, and then ensuring accuracy at discharge, patient safety could be jeopardized, and organizations may be confronted with growing numbers of readmissions and avoidable expenses. We hope this publication provides guidance and tools that will help your organization identify opportunities for improvement. Supplement this resource with insight and recommendations from the people within your organization tasked with performing and supporting medication reconciliation as well as patients and caregivers. Ask them what they believe is working well in executing accurate, complete medication reconciliation and what may require more attention. Discuss their feedback and act on recommendations that seem worthwhile. As you implement changes to processes, policies, and/or procedures, monitor them closely to ensure they are having the effect(s) you desire. Even a seemingly small, positive change can deliver a far-reaching and sustained improvement that directly impacts your organization's deliver of quality care and financial performance.